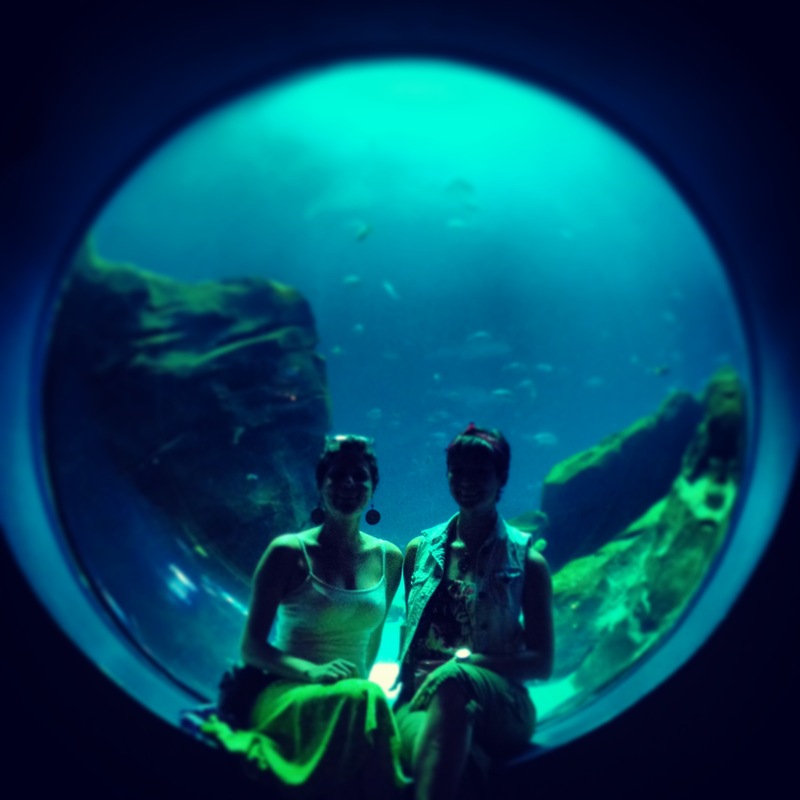 Maria and Mariana at the Georgia Aquarium in Atlanta on August 5, 2013. Maria and Mariana, this year’s 8th annual Governor Tauese P.F. Sunia Memorial Coral Reef Conservation Summer Interns, excelled as a team throughout their internship in Puerto Rico. Not only do these two young ladies share similar names and initials, they’re similar in background and even appearance. It could have not worked out better! The U.S. Fish and Wildlife Service (USFWS) Cabo Rojo National Wildlife Refuge hosted Maria and Mariana for the summer, providing mentors and facilities for a successful internship. Support was also provided by the U.S. Coral Reef Task Force, Puerto Rico Department of Natural and Environmental Resources, National Oceanic and Atmospheric Administration, and the U.S. Department of Agriculture’s (USDA) Natural Resources Conservation Service. Mariana worked on restoration projects in the Guánica Bay/Rio Loco Watershed and Maria assisted with wildlife-habitat restoration initiatives under USDA-USFWS agreements. Maria and Mariana participated in outdoor fieldtrips, inter-agency networking, camping, agricultural experiences, and traveling, all of which provided them with good experience and information. Both interns took advantage of each others’ skills, which resulted in overall achievement of internship goals and challenges. Recently, both had the opportunity to visit the USFWS Southeast Regional Office in Atlanta, GA to present their projects and shadow USFWS staff. Maria and Mariana gained information about the agency and received career advice for wildlife conservation opportunities. They returned to Puerto Rico with a lot of inspiring feedback, experience, knowledge, and enthusiasm for promising professional careers in wildlife and natural resources management. Lionfish first appeared in the water surrounding St. Croix in the U.S. Virgin Islands in the mid-90s and now, they’re an epidemic! Not only do they eat tons of our smaller reef fish each year, they also have a painful sting when handled incorrectly. The Virgin Islands would be lost without our reefs so everyone is finding ways to combat the lionfish invasion. The Friends of the St. Croix East End Marine Park host a lionfish derby each year at one of St. Croix’s biggest music festivals, Reef Jam. 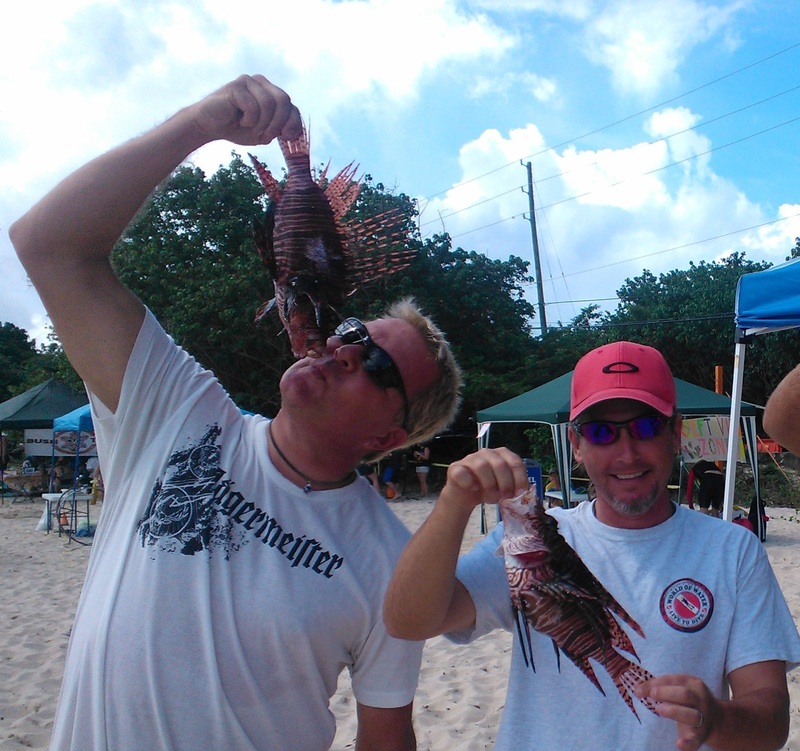 The 3rd annual Lionfish Derby at Reef Jam at Rainbow Beach was held on the weekend of May 25th. The event hosted nine lionfish hunters and brought in exactly 100 dead lionfish. Awards were given out for the longest, smallest, and heaviest lionfish, as well as most lionfish caught. Prizes for the Derby winners, such as dive trips, jewelry, and gift certificates for dinner, were donated by local businesses. The Friends of the St. Croix East End Marine Park helped build awareness of this issue during the event, which brought in over 2000 participants. 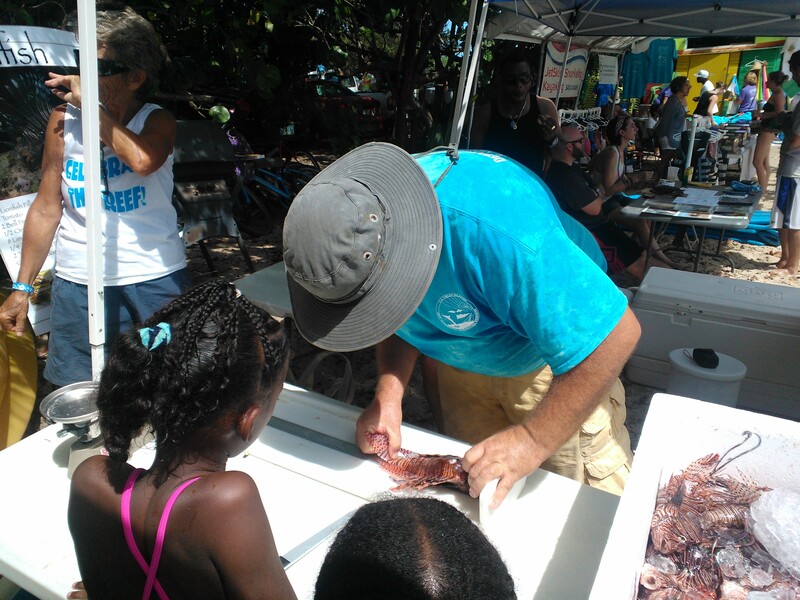 At the fish weigh-in, the group’s booth was swamped and lots of families came by to learn more about the lionfish we caught.